As there are innumerous types of sensors already being used, it is not possible to categorize all of them and few of the remaining major sensors are listed under this category. Apart from any of those listed under all these classifications, we are supplying huge variety of other common and special sensors. Optical sensors use the technology of conversion of light into an electrical signal to sense various parameters. Fiber optic sensors use fibre optic technology to transmit light through fibre cables before conversion. 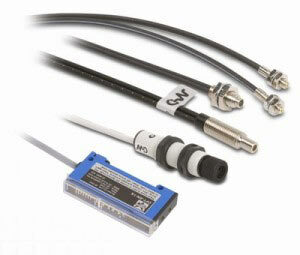 Optical sensors can be used for various applications such as flow, movement, displacement, liquid level, rotation etc. For measuring all these parameters, a light source generates a light and a receiver monitors the generated light. Depending on the parameter to be measured, there will be variation in the measured light and thus can be proportionately measured. Proximity sensors use optical sensing technology by measuring the distance between the light source and the reflected object. Proximity sensor is used for detecting the distance between two objects typically between a stationery object and a moving object. d light level inside the area. As an example if you need to maintain a light level of 400 lux inside an office room constantly as peer lighting design calculations, you can make the setting to be 400 lux. If the natural light available goes below 400 lux, the lights will be switched on or the intensity will be increased through dimmers as per the output connections. 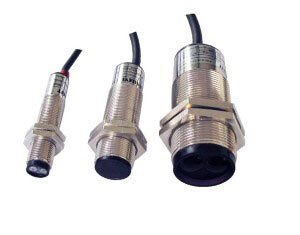 Photoelectric sensors are a type of optical sensors. The operational principle is conversion of light into voltage through photo voltaic principles. Photoelectric sensors are used for conversion or measurement of light energy by measuring the resultant electric energy and can be used to measure distance, movement etc. One of the typical applications include a transmitter and receiver installed linearly opposite to each other. 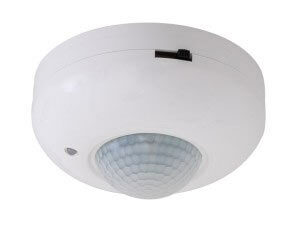 These types can also be used for smoke detection by detecting an obstruction in the optical path.